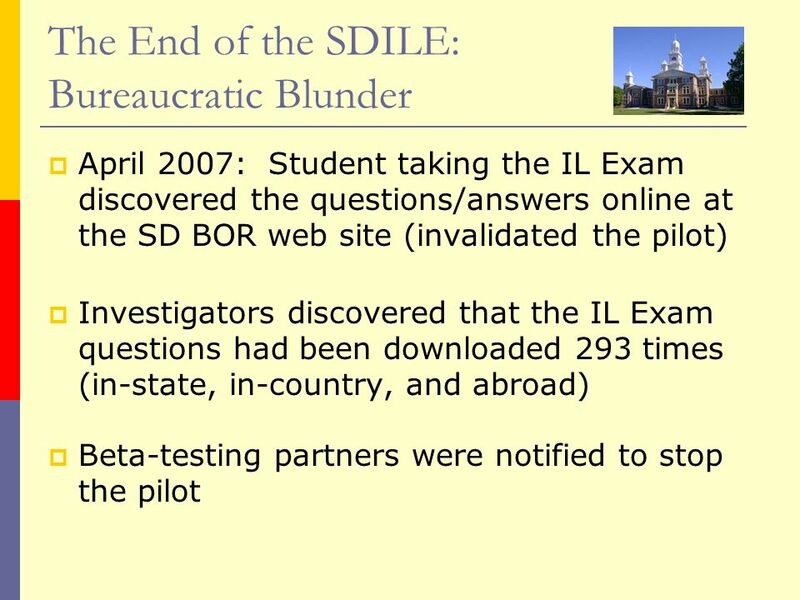 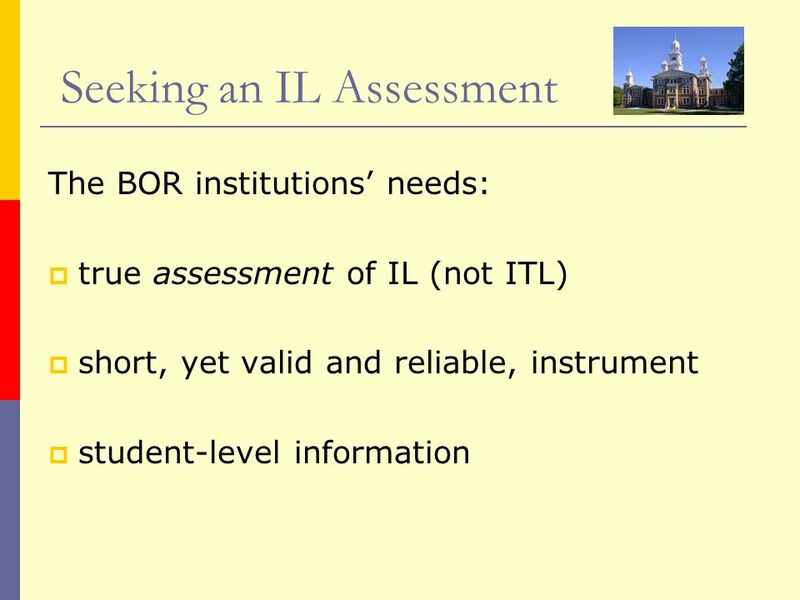 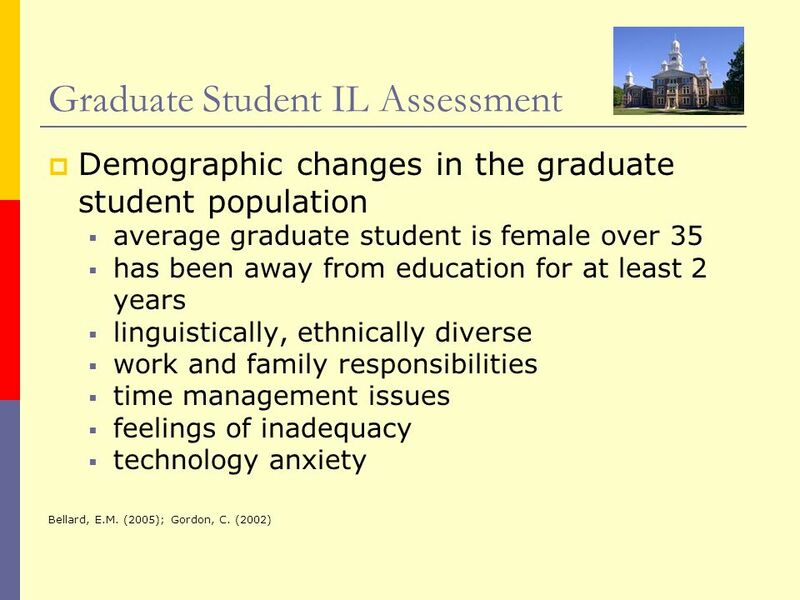 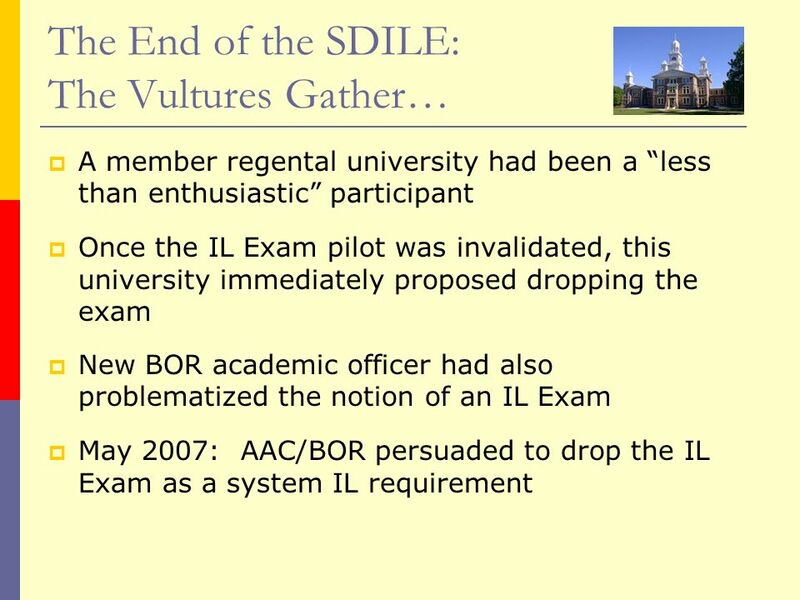 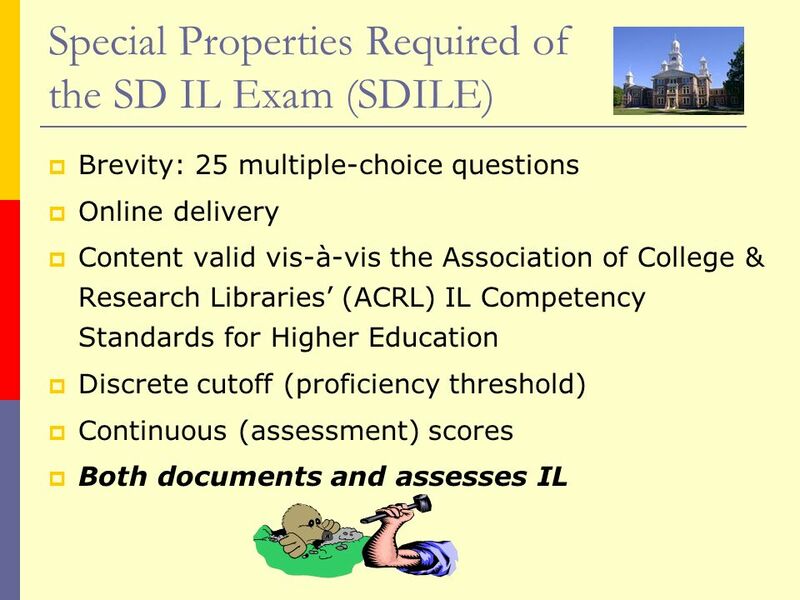 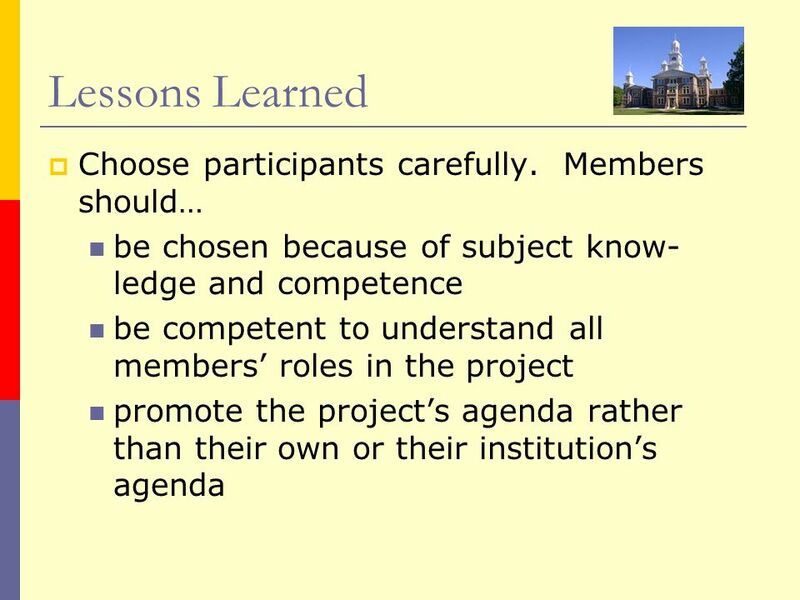 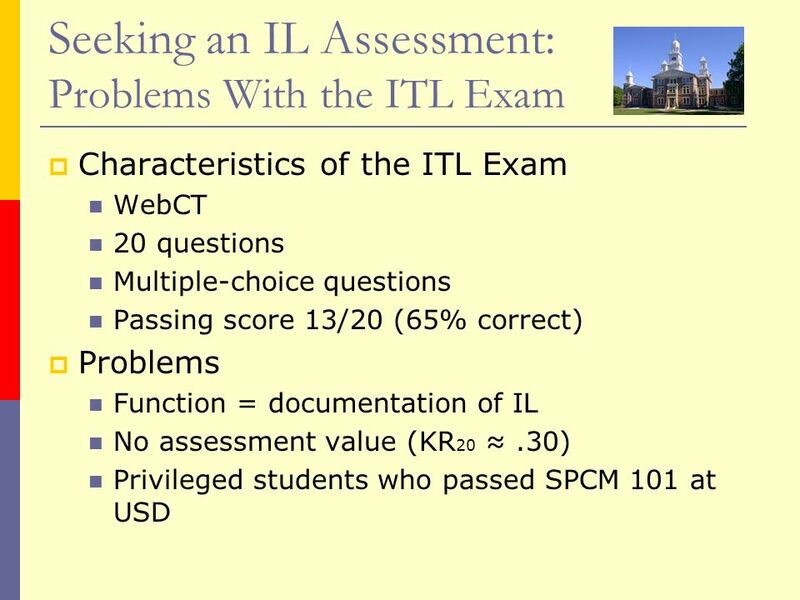 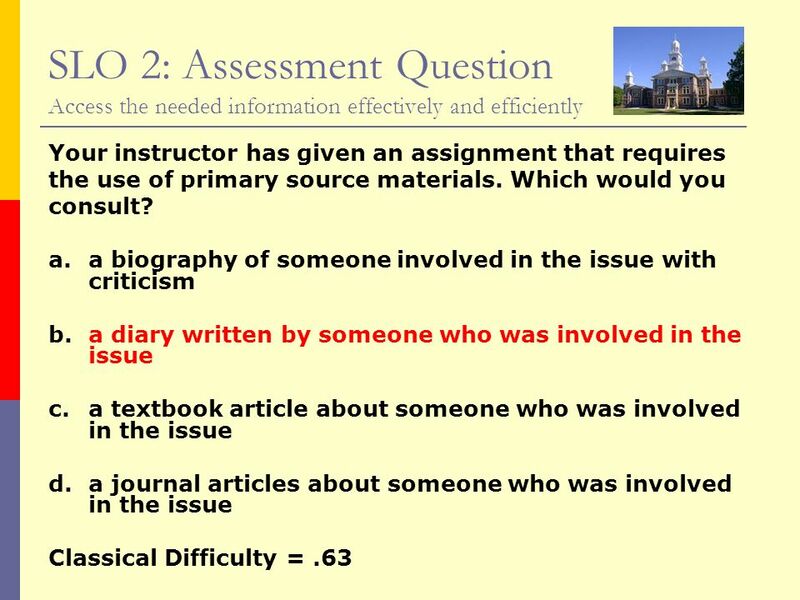 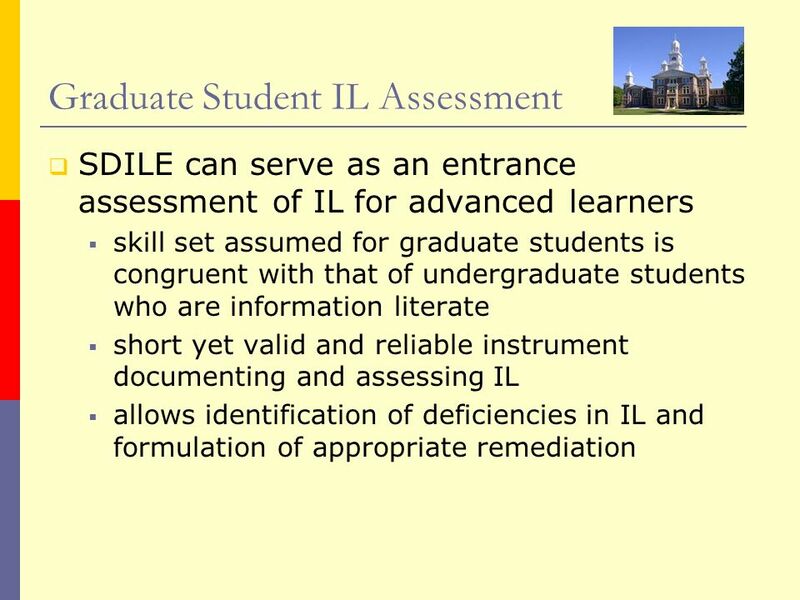 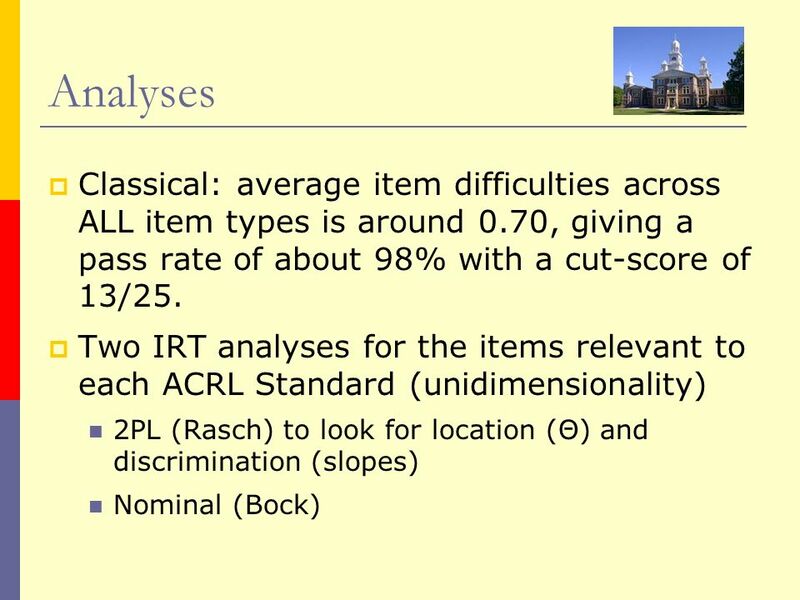 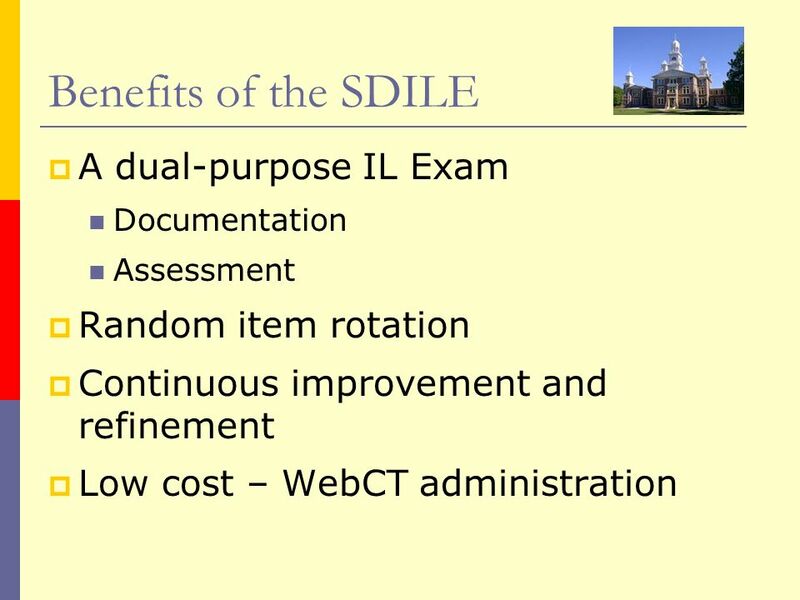 The South Dakota Regental Information Literacy Exam: A Tool for Small and Medium-Sized Universities to Document and Assess Information Literacy Carol Leibiger. 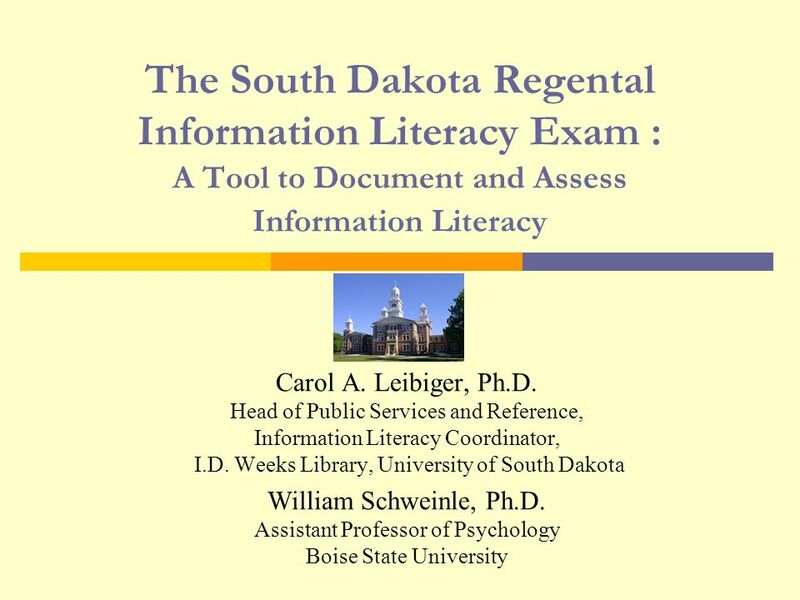 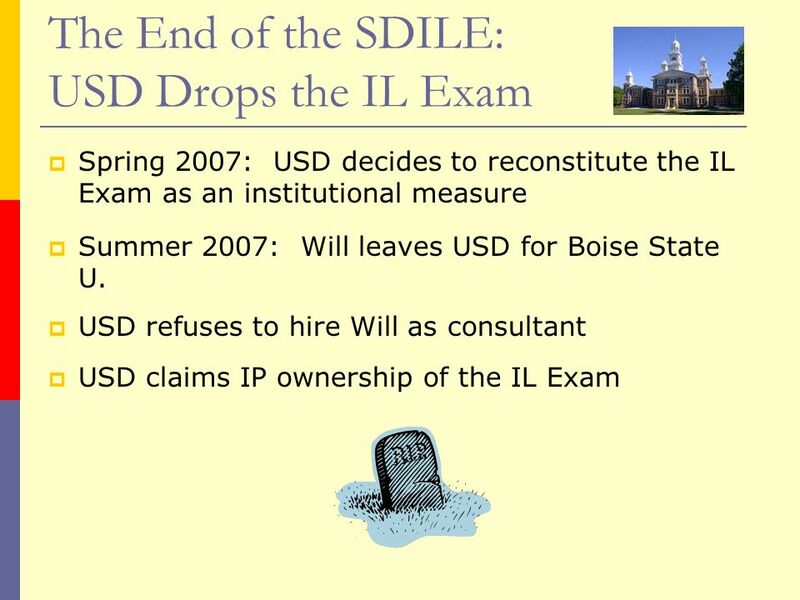 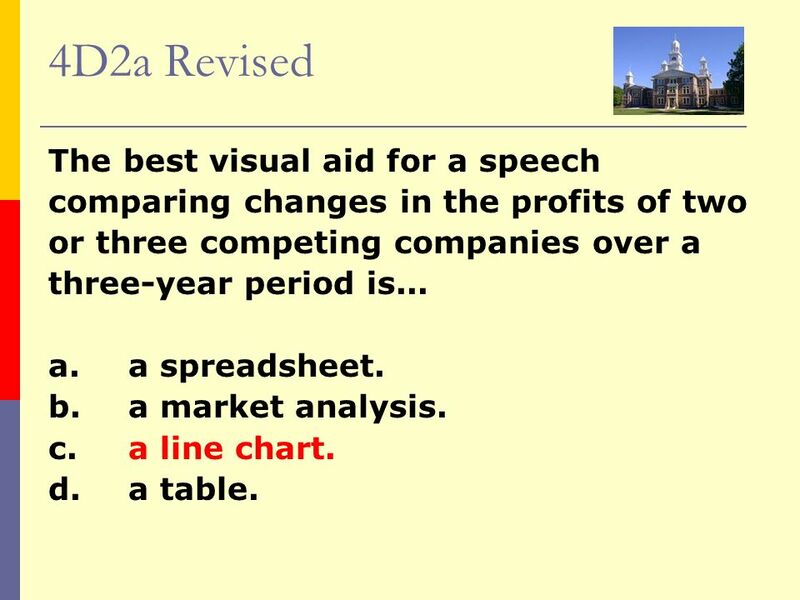 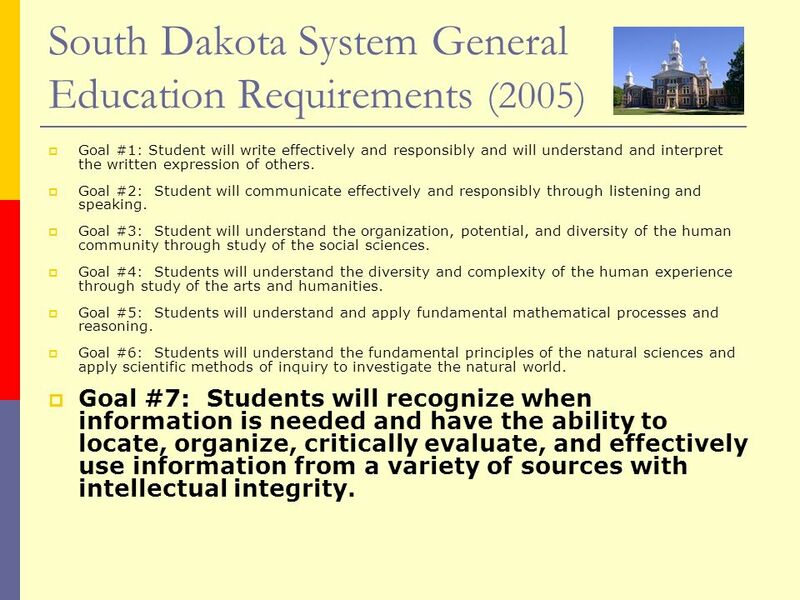 Download ppt "The South Dakota Regental Information Literacy Exam: A Tool for Small and Medium-Sized Universities to Document and Assess Information Literacy Carol Leibiger." 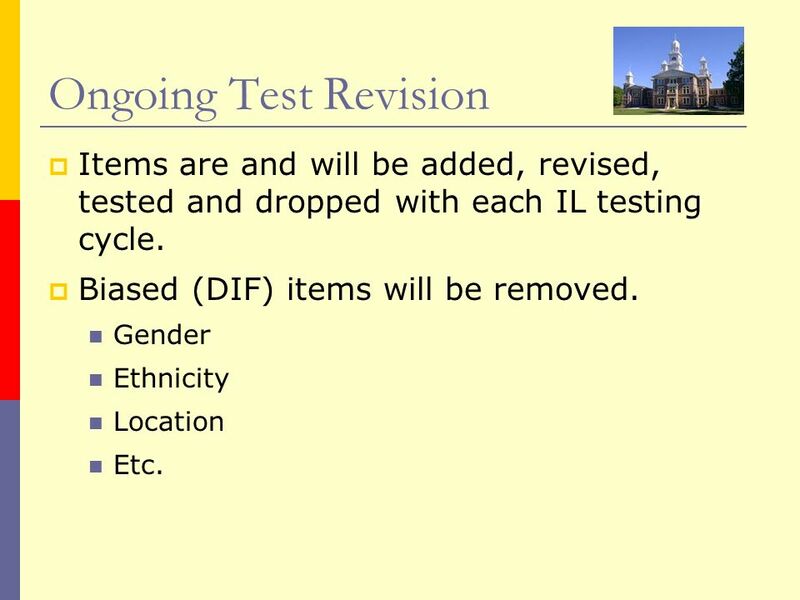 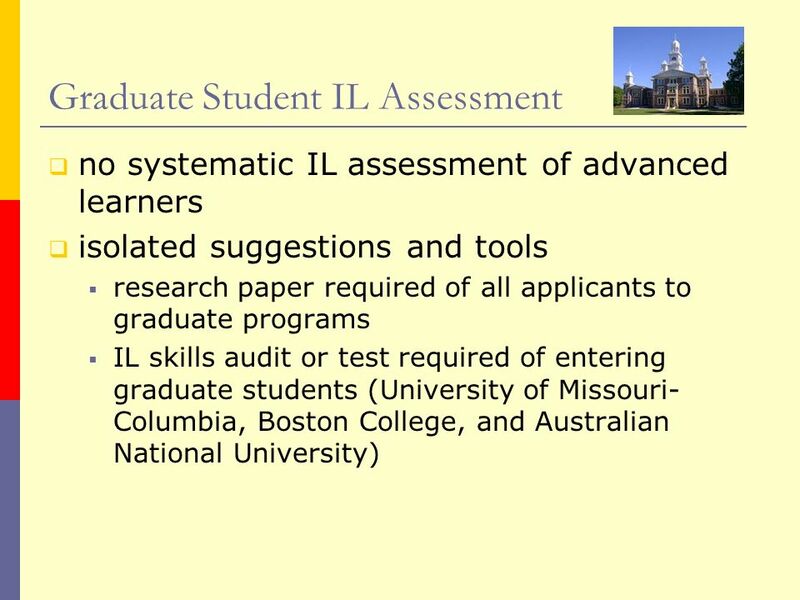 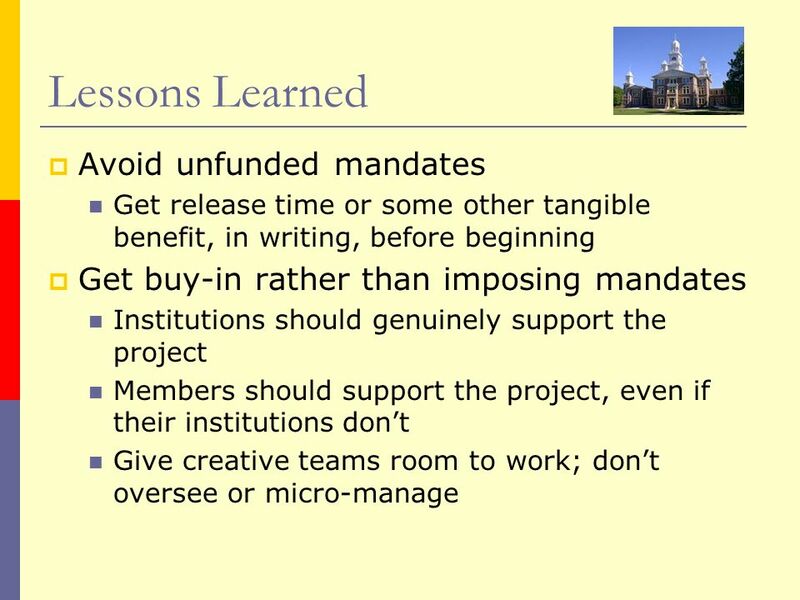 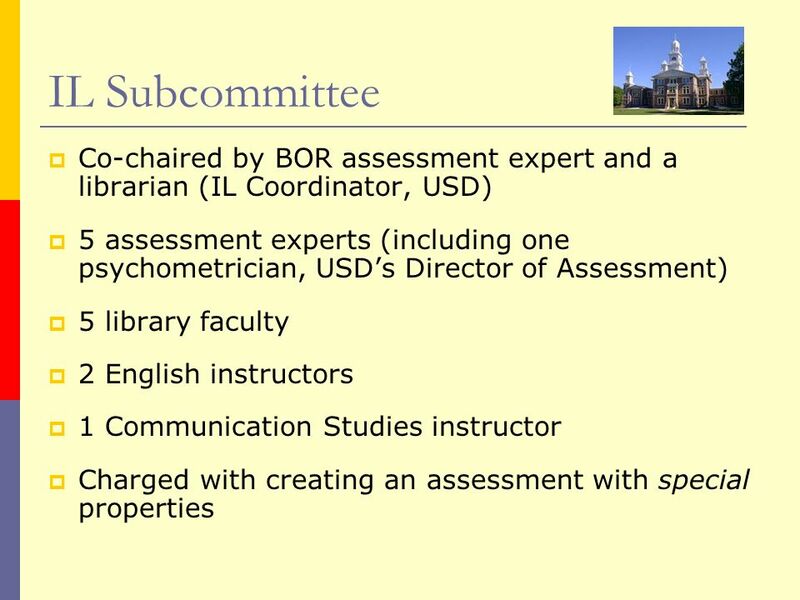 1 Developing Tests for Departmental Assessment Deborah Moore, Assessment Specialist Institutional Research, Planning, & Effectiveness University of Kentucky. 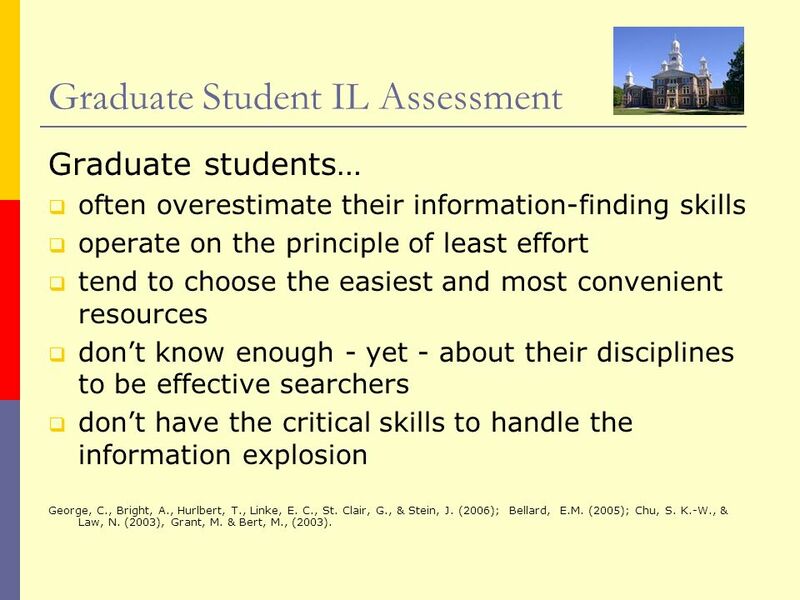 Measuring Up on College- Level Learning Margaret Miller, Project Director September 2003. 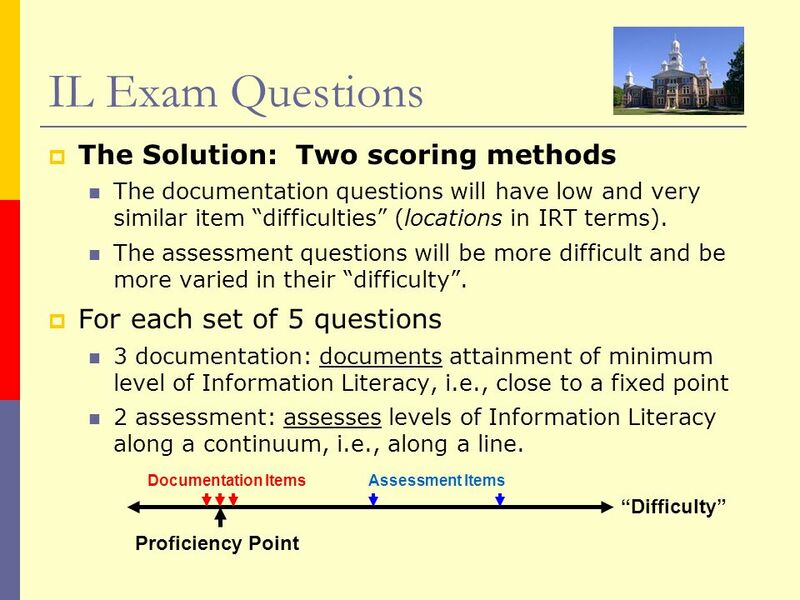 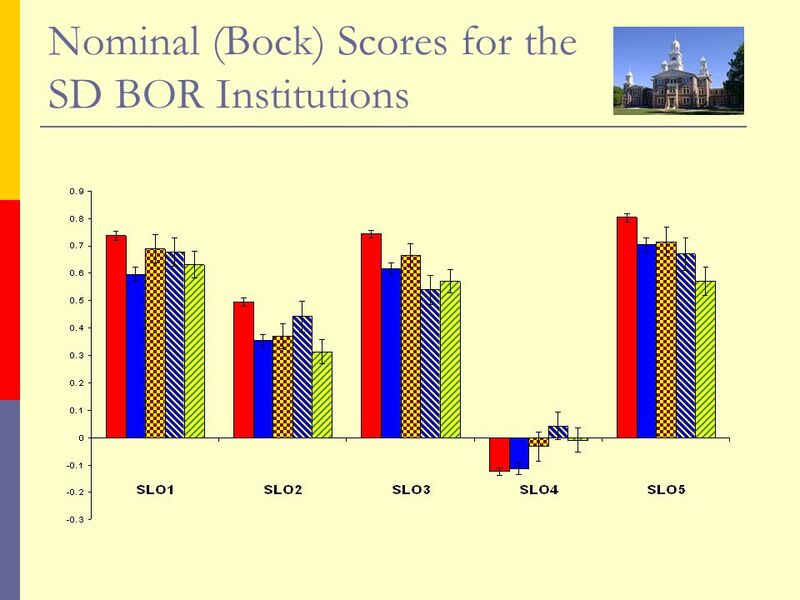 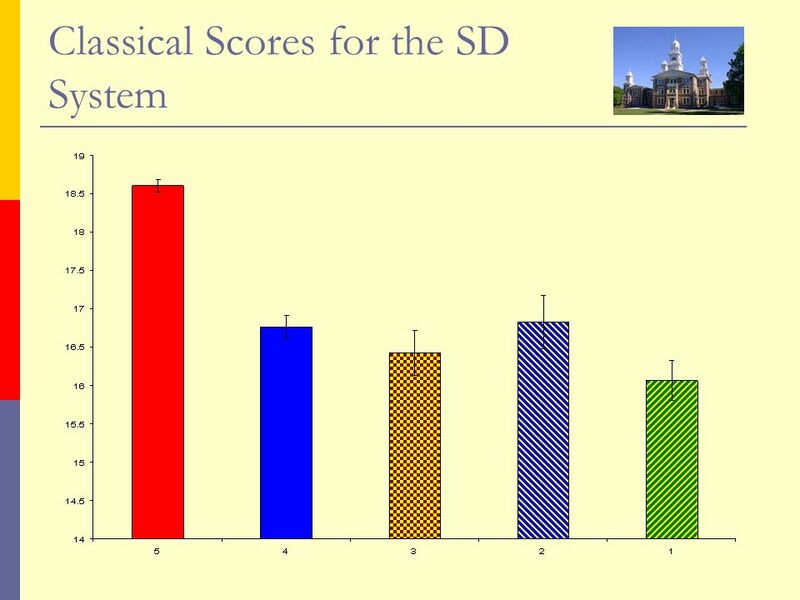 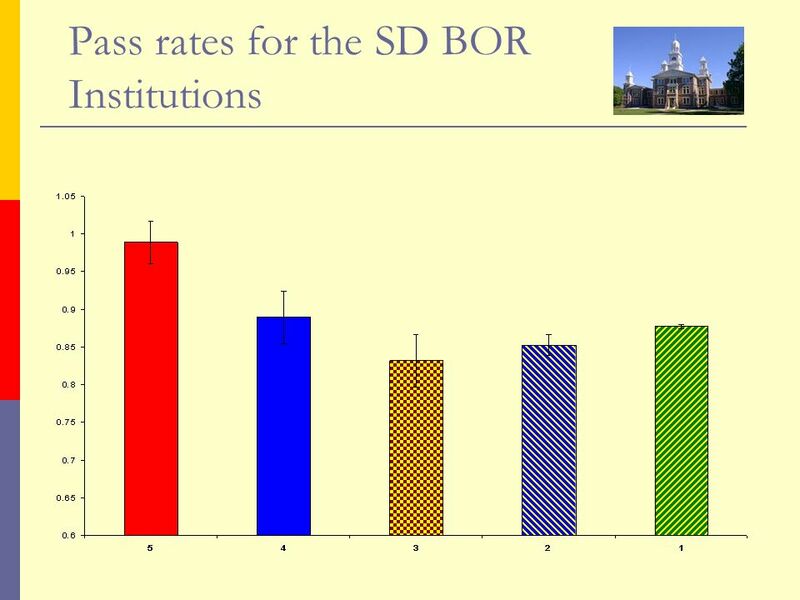 The Context for Outcomes Assessment – Industrial Age or Information Age Education? 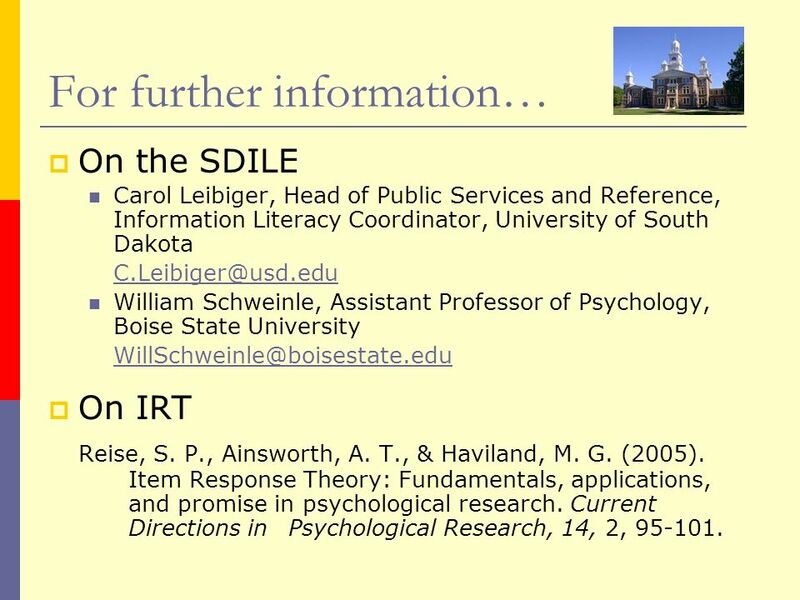 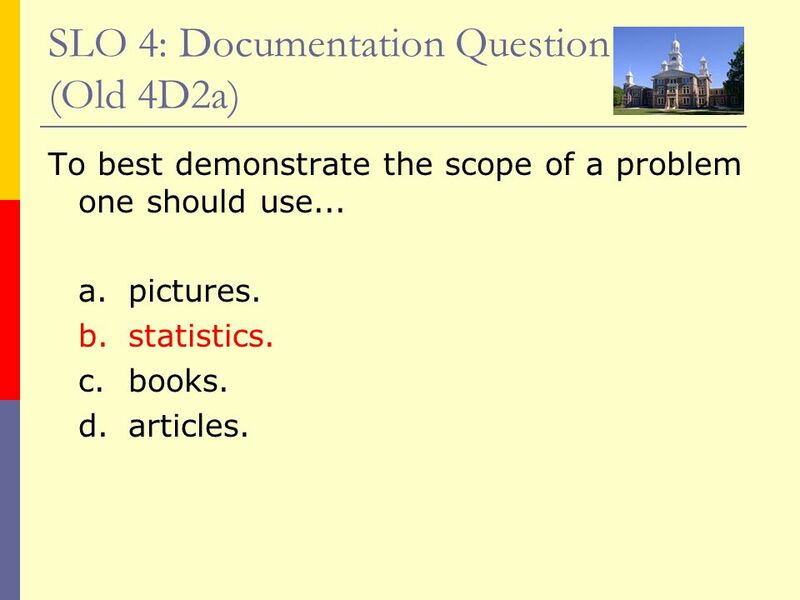 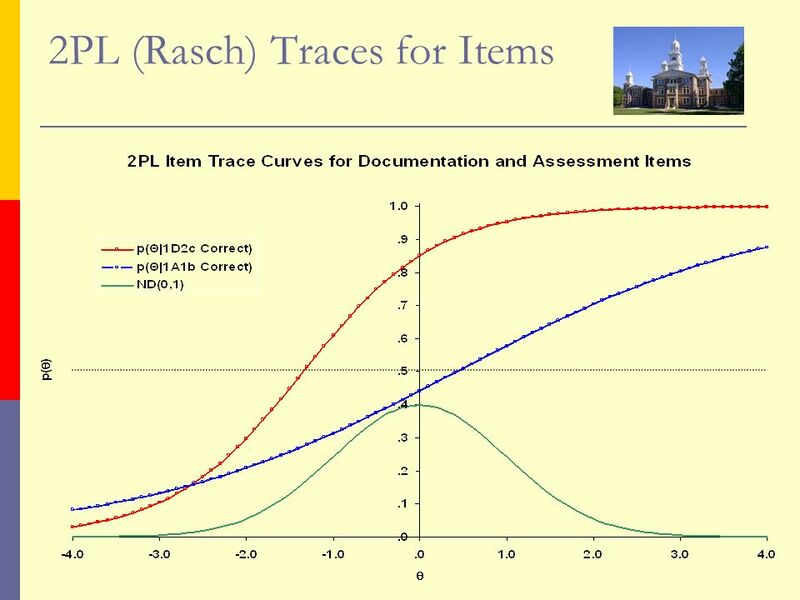 Presented to: Community College of Rhode Island Learning Evidence Team. 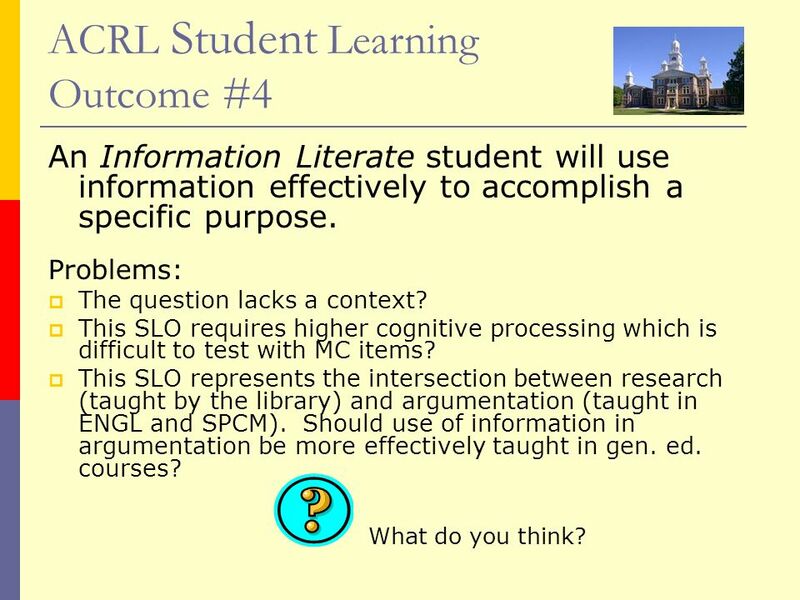 Enhancing Critical Thinking Skills 2012 HBCU Library Alliance Leadership Institute Presented By: Violene Williams, MLIS Reference Librarian James Herbert. 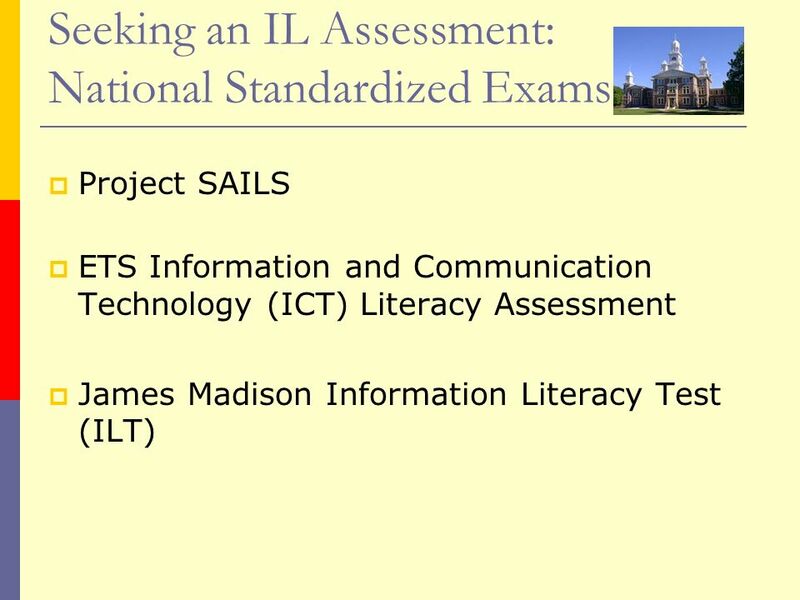 Measuring Information Literacy from Third Grader to College Senior Carolyn Radcliff, M.L.S., SAILS Project Director Julie Gedeon, Ph.D., TRAILS Assessment. 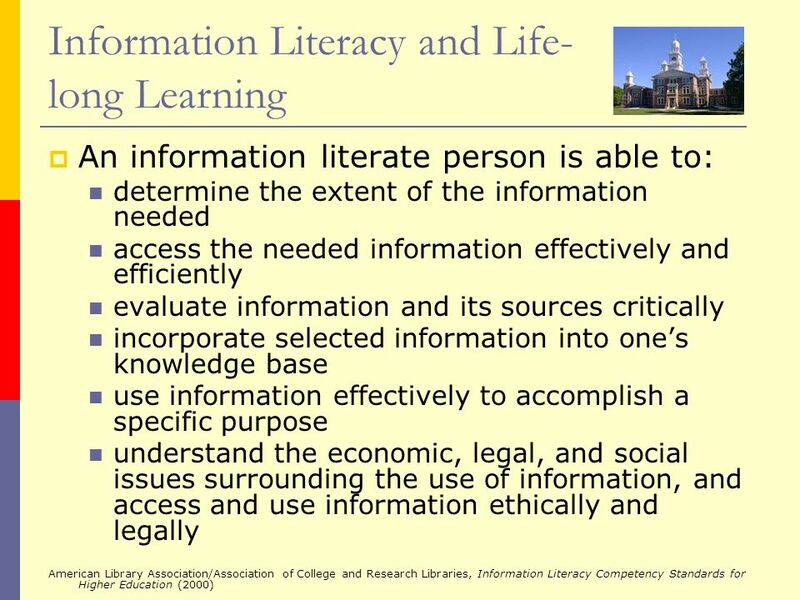 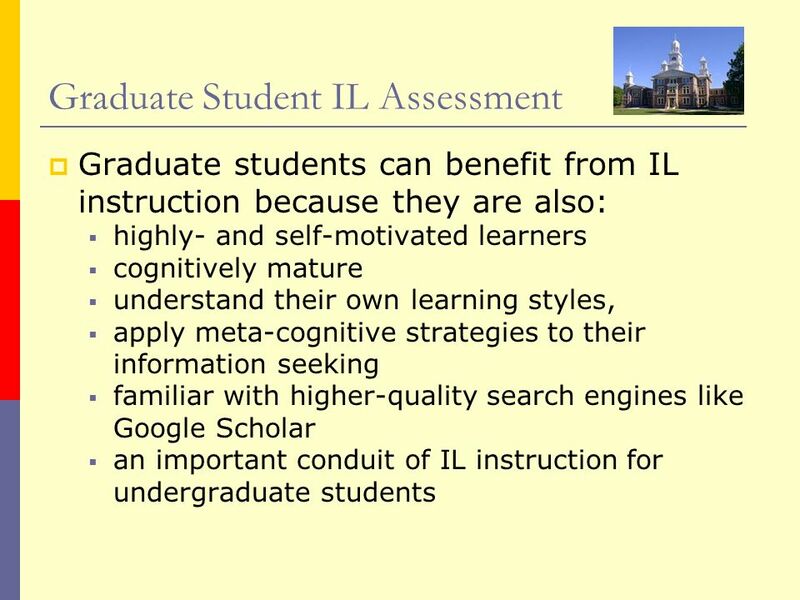 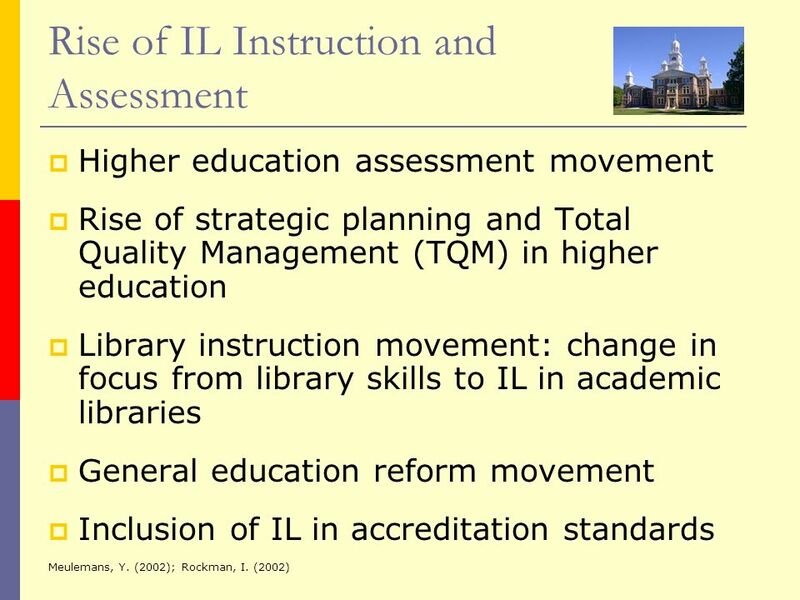 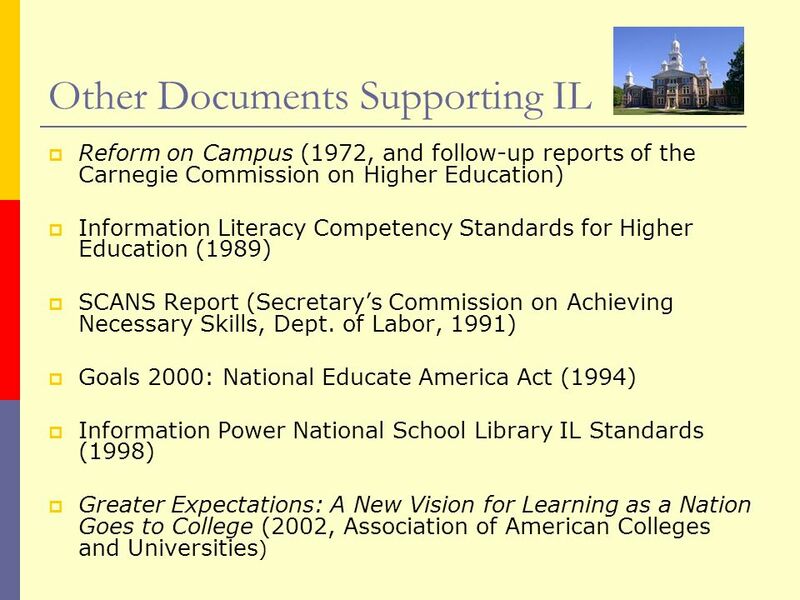 Information Literacy Assessment: A Contextual Overview Keith Gresham Head of Information & Instruction Services University of Vermont Libraries VLA College. 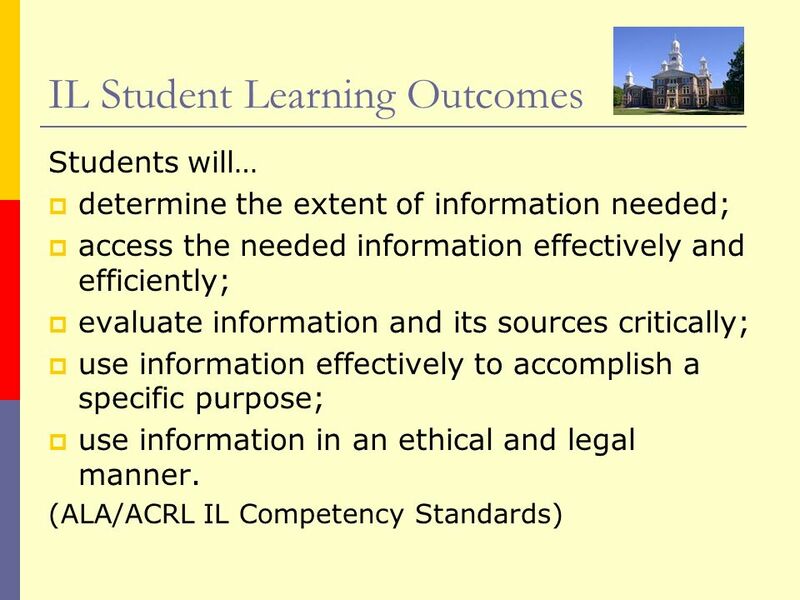 BEST PRACTICES IN INFORMATION LITERACY ASSESSMENT Yvonne Mery, Vicki Mills, Jill Newby, University of Arizona Libraries February 11, 2009.